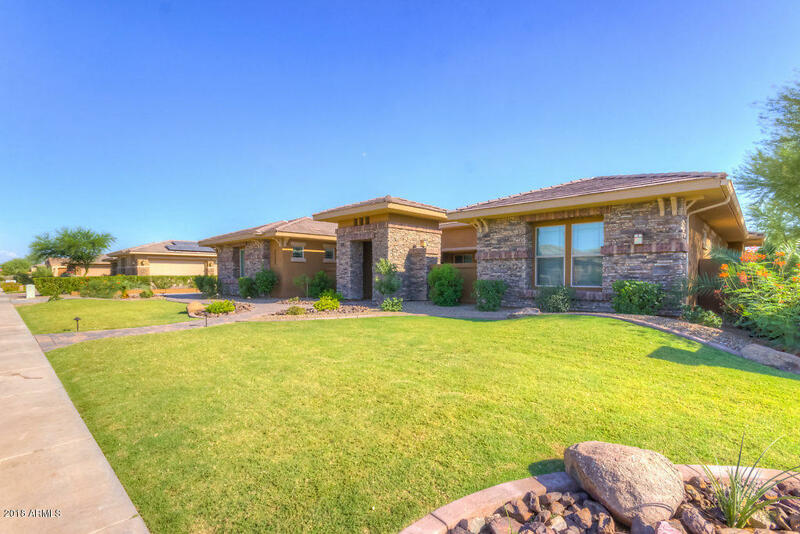 All ACACIA REPLAT homes currently listed for sale in Gilbert as of 04/22/2019 are shown below. You can change the search criteria at any time by pressing the 'Change Search' button below. "Getting Away...By Coming Home. Notable Mediterranean custom home located within the gated enclave of Acacia Estates, is resort style living at its best. Alisha Newman Taylor, ASID award winning designer, created featured design elements within dramatic spaces throughout the home. 4,766 sq. ft with no interior steps, offers a well executed layout, merging formal and casual living seamlessly. Gorgeous Master En Suite offers relaxing sitting area and private backyard pool access. Eloquent Master Sp"
"This home is turn key and ready for move in. In the gated enclave of Acacia Estates on an over-sized, corner lot with spectacular views and backing to a common area, welcome your guests through your quaint courtyard into the spacious great room. The chef's kitchen is equipped with stainless steel GE Monogram appliances, giant island and huge pantry. Entertain in your resort inspired backyard oasis accessed by floor to ceiling sliding glass doors with gorgeous views of the pool and mountains."